In June, the US Census Bureau announced that for the first time, Millennials, or people born between 1982 and 2000, now outnumber baby boomers, numbering 83.1 million in the US. That means a huge and booming travel population that will be increasingly important to the Caribbean. Millennials have somewhat different tastes — they’re looking for dynamic, energetic, high-design places that focus on experiential travel. When it comes to hotel design, that also means vibrant social spaces, music, technology, eco-friendliness and community impact. These are the best hotels in the Caribbean for millennials right now. (We’ll also be doing a story on all-inclusives for millennials soon). Experiential travel is a term thrown about a lot these days when it comes to millennials, and this is a haven for it. 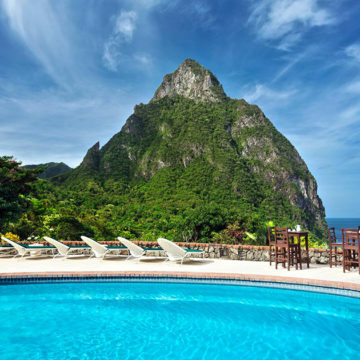 The eco-centric hotel in the hills above Soufriere, St Lucia has an inventive restaurant set around cacao and is set on a working cacao plantation that guests can visit.